(858) 598-3137Send Me EmailView My WebsiteContact Us Today! 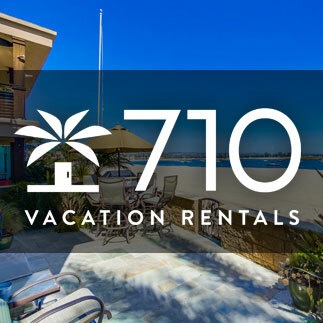 Vacation worry free when staying with 710! Our homes are maintained to the highest standard and our attention to customer service is second to none. We are rated A+ with the BBB and Excellent by past guests on multiple platforms. With 90+ vacation homes in the coastal communities of San Diego, we can accommodate any request. 710 is committed to providing our guests a seamless rental experience when visiting America’s Finest City!